This iconic Naim power amp model was first introduced in 1971 and this latest incarnation is incredible value, sitting above the entry level Naim NAP155 XS and below the Naim NAP250 DR.
Naim NAP 200 power amplifier was first designed by Naim founder Julian Vereker in 1971, and is a special power amp with a long heritage that has Naim musicality written into its DNA. As their first production amplifier, no single product encapsulates our philosophy better. Its design is simple and uncompromising, with a single-minded focus on one thing: creating an enduring musical connection with the listener. More recently the NAP 200 has benefitted from the years of research that went into the NAP 500 amplifier. Many of the developments from the 500 Series project have helped to revitalise its electronic design and componentry bringing significant and hard-earned gains to performance. Beneath this new technology however, it retains the values which helped to make it an icon: simplicity, focus and sheer musicality. The NAP 200 has been revitalised and reintroduced for 2015 with the addition of a Naim DR (Discrete Regulator) module to power its partnered Naim preamplifier. This comes alongside small improvements to some internal componentry and layout that combine to lift its musical performance even further than the original. Like the flagship NAP 500, the NAP 200 uses a new circuit design with improved earthing arrangements built on a very high quality, anti-resonance main audio circuit board. Anti-vibration, resonance-controlling feet serve to protect the sensitive internal components from microphonic vibration and unwanted external interference. A new, top-quality 430VA toroidal transformer provides more than 300VA of transient power. Separate windings provide dedicated left and right channel rectified power supplies with two smoothing capacitors per channel. The NAP 200 also has a separate winding providing a preamplifier power supply. This enables it to be used in a two-box amplifier configuration with a Naim preamplifier such as the NAC 202. 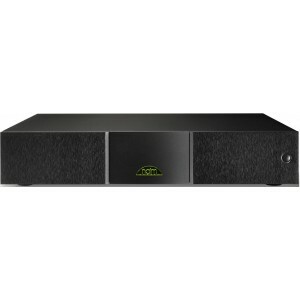 The Naim NAP 200 is stable into any load and can drive a 2-ohm load for long periods of time.